The front backup sight folds down, out of the way. 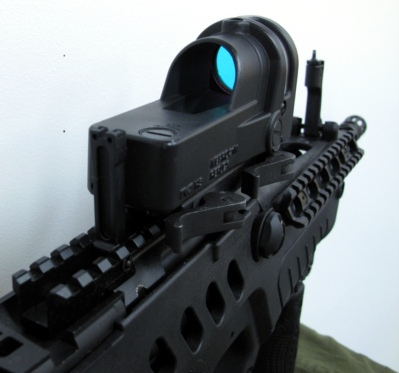 For the 2010 batch, 2 options were available for the back open sight. The regular backup sight which rotates down or the backup sight which folds down inside the optionnal factory attached Picatinny rail. My personnal Tavor has the fold down model. 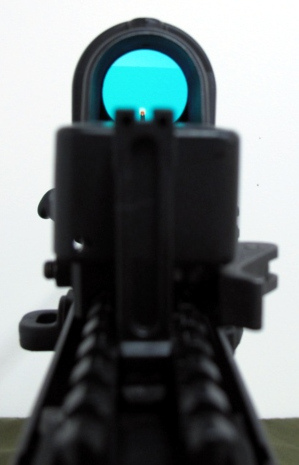 The M21 sight is co-witness with flip up open sights. 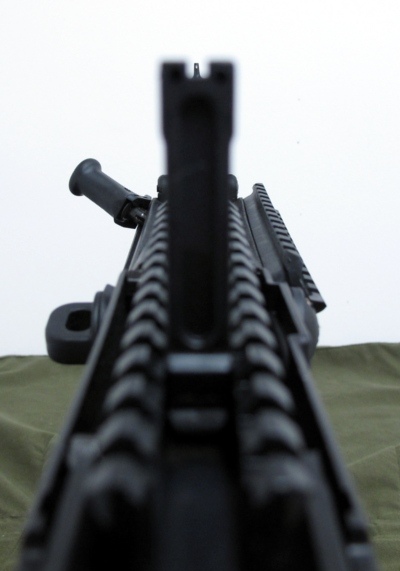 Note that the M21 has to be setup at the forward limit of the rail to be able to lift the back sight. Altough it is theorically possible to shoot like this, the sight picture is - in my opinion - suitable only for emergencies. 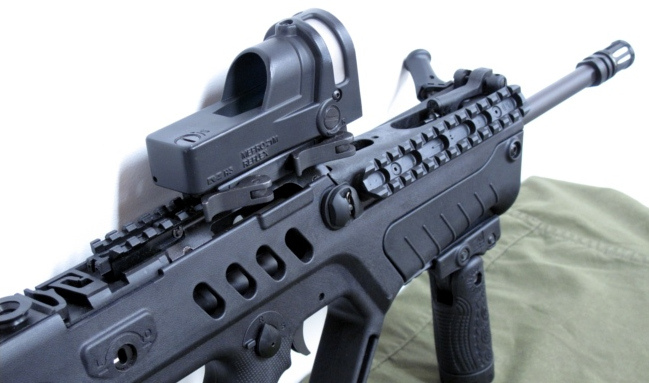 Removing the M21 sight off the rifle is my preferred solution (see below picture). The mount on the M21 makes it very easy to do. Sight picture without interefence from the M21.